The Wilson Enduro Pro 16L tennis string is ideal for competitive players looking for power and control. This durable monofilament string has a co- polymer formula that provides softer feel than basic polys. The string has a 1.27mm gauge and is available in 200m (656’) reel. 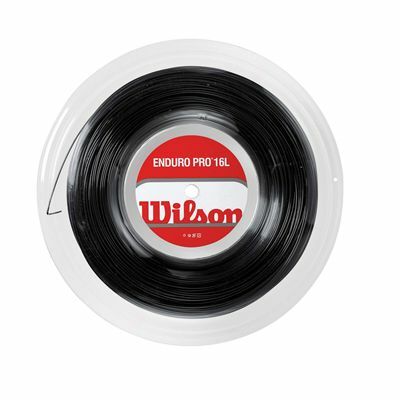 for submitting product review about Wilson Enduro Pro 16L Tennis String 200m Reel Black.